The front blind spot is where the front of the hood that is not visible. 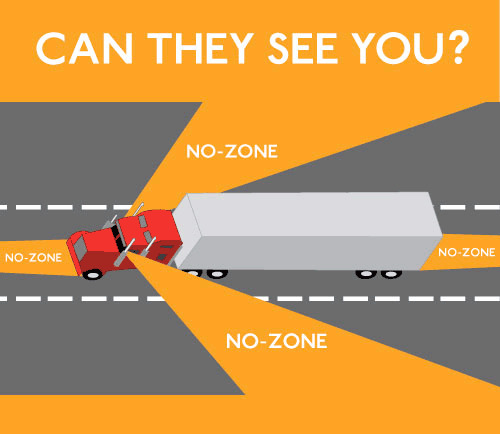 There are several factors that contribute to the front blind spot: the vehicle's appearance, the height of the seat, the length of the vehicle's head, and the height of the driver. If you do not control the distance of the front blind area very well, it is very easy to have a rear-end incident. Thers is about 30 degrees blind spot outside the rear door. 3. Rearview mirror blind spot. Only relying on the rear-view mirror can not see the situation around the the whole vehicle when turning. 4. A, B column blind area on both sides of the windshield. 5. The blind spot between the front and rear wheels. For example, when you are turning, you feel that you can pass, but the rear wheel is stuck. This is the blind spot caused by the difference between the front and rear wheels. 6. The blind spot of light: The opponent's vehicle opens a high beam will cause a blind spot of sight. When driving out of the tunnel, the light suddenly becomes bright, leading to black eyes, and a short-term visual blind spot will appear. 7. Detour road blind area: driving on the mountain road will be obscure because of the rugged terrain. 8. Overtaking blind area: When the front vehicle suddenly decelerates, it will easily collide. 1. 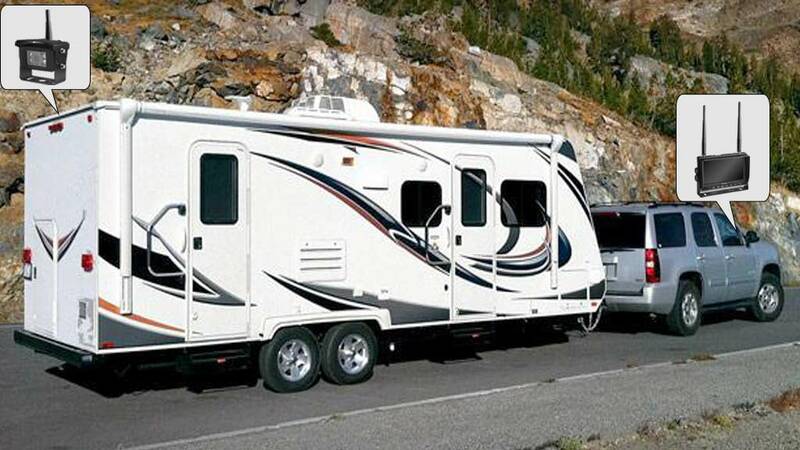 The size and design of the travel trailer often impose severe limitations on the visibility of the front and trailer sides. It is dangerous to rely solely on rearview mirrors when turning. The haloview camera system provides the driver with optimal visibility, improved safety, efficiency and comfort. 2. In case of accident or collision, haloview backup camera can retain evidence for legal matters. 3. when drive at night and rain, you can clearly see the situation around the trailer with the night vision of backup camera. Haloview is committed to providing an awesome blind spot solutions with a good reputation and make sure every driver can afford. 1. In the backup camera industry, low-end products are already very common with low price,but quality can't be guaranteed, while high-end camera system are generally in high price. 2. All Haloview's products must be kept down to half price of the same quality products, thus giving consumers real benefits, rather than propagating as low price but actually cheating consumers. Haloview original products must also not be higher than the price of alternative products. 3. Please compare haloview products only with the top 3 brands in the industry. Quality is haloview's brand basis. If we produce rubbish, haloivew will not be able to establish itself in this industry. 4. Whether it is pre-sale or post-sale, you can always contact haloview's award-winning support team. All service personnel have professional product training. Our R&D department and customer service center are only separated by a wall. If you have a very professional problem, our R&D engineers will response immediately. Copyright © 2019 Haloview All rights reserved.